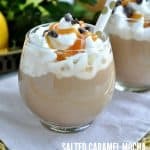 Perfect for holiday entertaining, a New Year’s Eve bash, or just a cozy after-dinner cocktail, this Salted Caramel Mocha Martini is sweet, creamy, and decadent! Thanks to Daily’s Cocktails® for sponsoring this post and for providing us with simple and delicious ingredients that make these cocktails come together in a matter of minutes! There’s no better time than the holiday season to experiment with fun and festive cocktails, right? All of these parties and social gatherings are a great excuse to mix up a treat to share with friends, and I have a winning combination for you today! It’s pretty well established by now that I LOVE just about any salty-sweet combination; and simple, fast recipes are always my preference. That’s why I was so excited when I found out about the latest addition to the Daily’s Cocktails line-up of ready-to-drink options — the new Cream Cocktails! 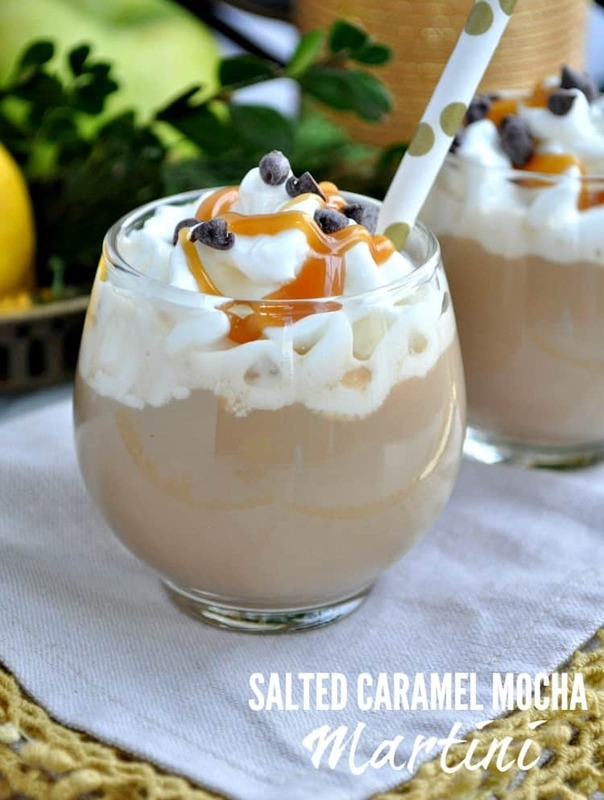 For this recipe, I used the Salted Caramel & Cream flavor, as well as the Chocolate & Cream flavor — um, yes…these are DELICIOUS! They’re so good, in fact, that you can satisfy your sweet tooth and enjoy a cocktail for dessert (multi-tasking is the Name of My Game. Hah!). I also tried the Horchata Cinnamon & Cream flavor, which is equally tasty on its own. 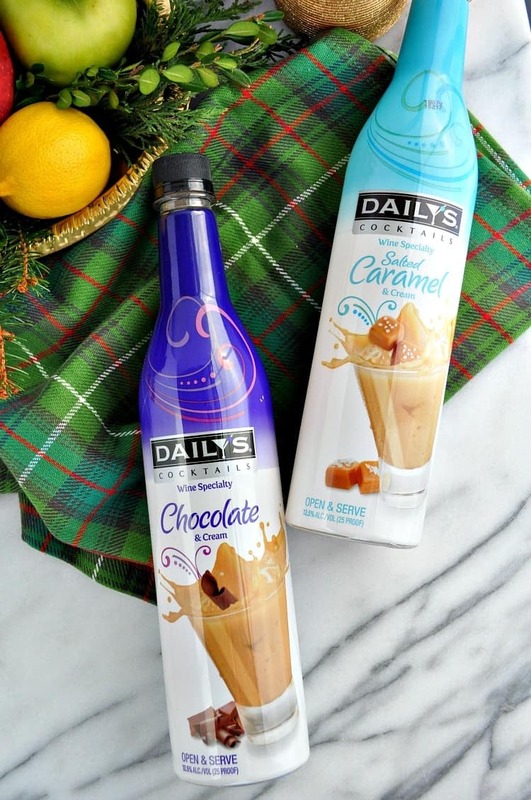 The Daily’s Cream Cocktails are made with wine, perfectly blended with real dairy cream, and excellent when served over ice or warmed up in a hot beverage. I promise, if you set a few of these out on your holiday bar, they will not last long! 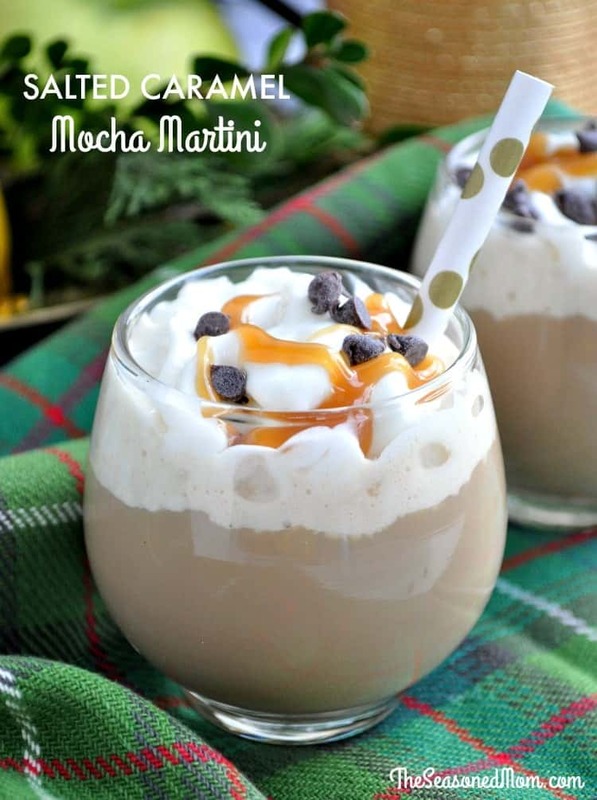 I added some coffee liquor to get that mocha taste that I love, and then topped the drink off with some whipped cream, a drizzle of salted caramel sauce, and a few miniature chocolate chips. 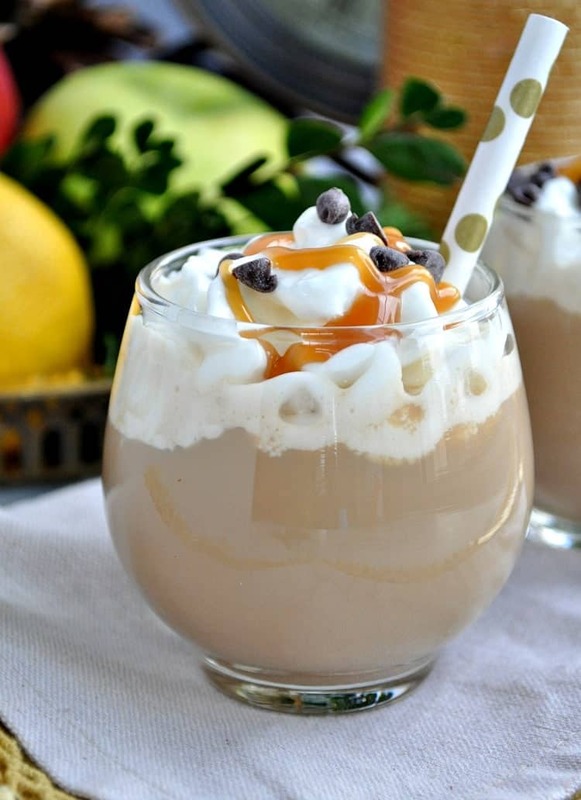 Like I said — it’s basically dessert in a glass, and it’s perfect for a celebratory occasion! If you love fun and festive cocktails like this, be sure to visit dailyscocktails.com to browse over 100 cocktail recipes by color, flavor, spirit type, glass type, season, and cocktail type. Plus, you can enter to win the Ultimate VIP Trip for Two to New York City and other fabulous cocktailing prizes through the Discover Delicious Sweepstakes! This is a sponsored post written by me on behalf of Daily’s Cocktails®. Content for 21+. This is such a fun drink, Blair! I’ve never seen those cream drinks before. I’ll have to be on the lookout for them! 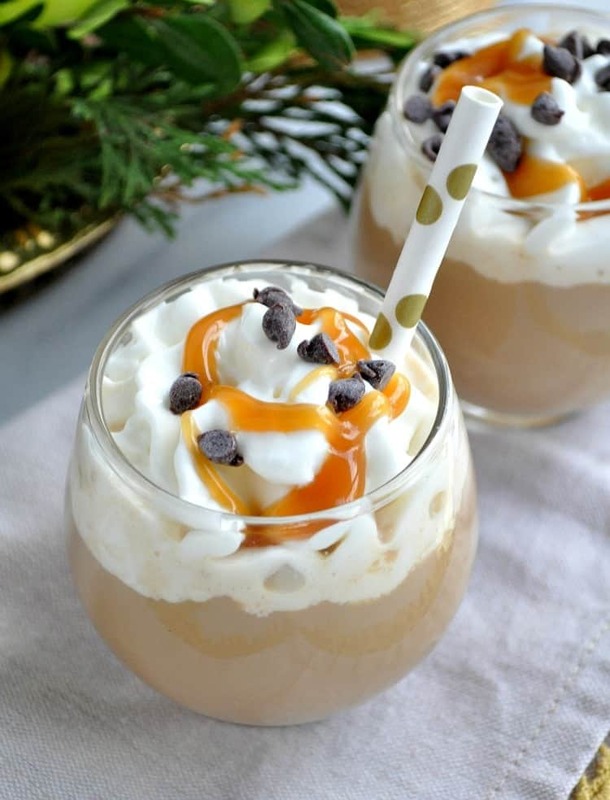 This looks like the perfect combination of salt and sweet for the holidays! Oh, yes — they’re a must-try Gayle! Like a sippable dessert! Blair, what type of coffee liquor did you use? it’s 5 o’clock somewhere, right? SIGN ME UP! cheers! This sounds like the perfect Holiday get togehter cocktail! Thanks for sharing!